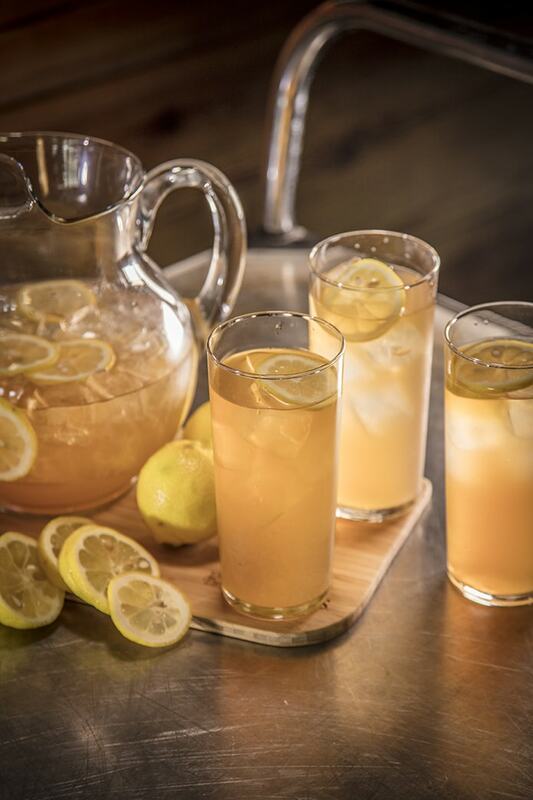 Combine the Bourbon, lemon juice and syrup into highball glass, add a splash of soda water and stir. Fill glass with ice, top up with more soda water and stir once to mix. Garnish with lemon slice.